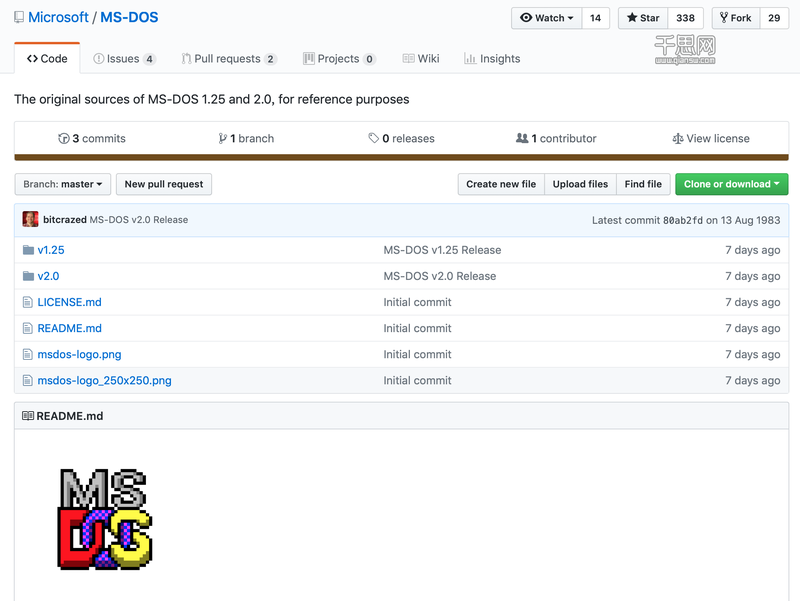 This repo contains the original source-code and compiled binaries for MS-DOS 1.25 and MS-DOS 2.0. These are the same files originally shared at the Computer History Museum on March 25th 2014 and are being (re)published in this repo to make them easier to find, reference-to in external writing and works, and to allow exploration and experimentation for those interested in early PC Operating Systems. All files within this repo are released under the MIT (OSI) License as per the LICENSE file stored in the root of this repo.